This bigger pack has 19 presets including black and white versions, toners and color presets. Included are 5 sharpening presets to alter the level of sharpening. 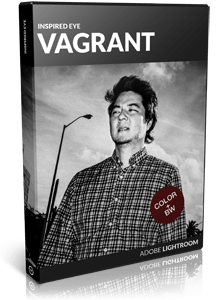 It contains softer presets for a clean street look, up to the really gritty look. The 5 color presets included will add variety to your processing.